There has never been a faster steam-engine than the Mallard. Check the record. The date was the 3rd of July 1938. The speed, 126mph. Elegant streamlining gave this locomotive a striking, futuristic look. It was both beauty and beast combined. Art Deco and locomotion melded, become one. Mallard belongs to a class of locomotives named for its designer, Edinburgh-born Sir Nigel Gresley – the chief mechanical engineer of the London and North Eastern Railway, or LNER. Between 1935 and 1938, a total of 35 engines were built to this specification, the A4 Pacific class, at LNER’s Doncaster works. Theirs' were names to conjure with. Empire of India, Merlin and Silver Fox were but three. There was also one called Quicksilver, and it doesn’t get much better than that! 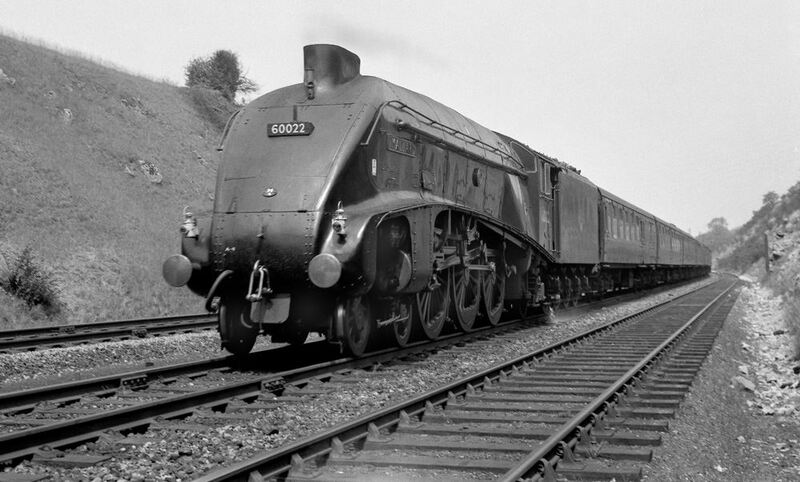 But A4 4468 – Mallard – was the loco that captured the world speed record, its place in folklore and in the hearts of millions thus forever assured. Up in the cab that day, driver Joe Duddington had the experience and temperament to take on the challenge. He and his fireman, Thomas Bray, toiled in searing heat and flying cinders, becoming national heroes overnight. Essendine, a village in Britain’s smallest county, Rutland, entered the record-books with them, for it lies closest to the spot where the peak speed was recorded, just over the border into Lincolnshire, on a stretch of the East Coast Main Line which thousands of rail-users still travel on daily on journeys between London and Edinburgh. If they are quick and keen-sighted they can catch a momentary mental freeze-frame of a distinctive sign erected at the side of the track to mark the place where steam and speed reached their zenith. 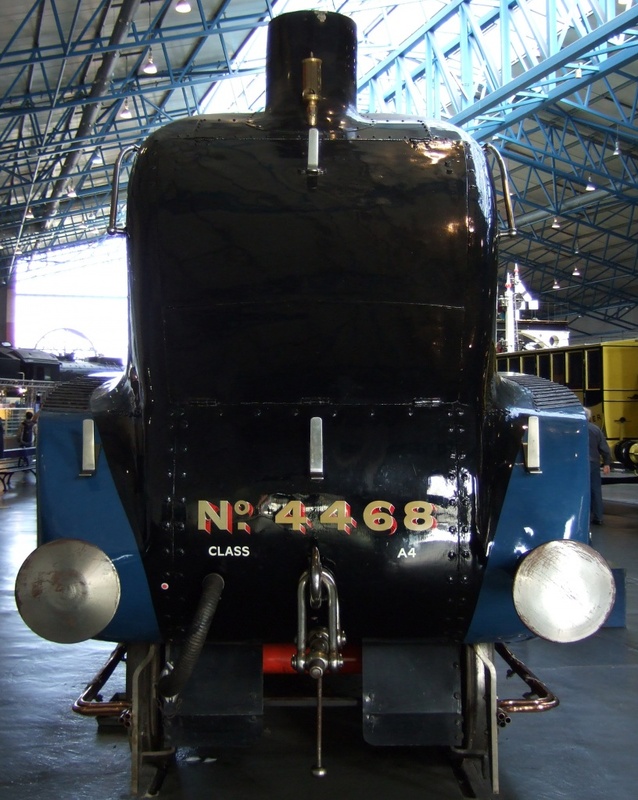 Today, Mallard takes pride of place in the Great Hall of the National Railway Museum in York. Its magnificent garter-blue colour scheme appears almost radiant in its brilliance, and in its gleaming brass fittings are reflected the faces – awestruck and joyous – of a throng of admirers, young and old and in-between.